Thriller drama directed and written by Paul Schrader in which the story follows solitary, middle-aged parish pastor, Reverend Toller (Ethan Hawke), at a small Dutch Reform church in upstate New York, who is tortured by the death of his son he encouraged to enlist in the armed forces. When a pregnant parishioner, Mary (Amanda Seyfried), asks Toller to counsel her husband, Michael (Philip Ettinger), a radical environmentalist, Toller finds himself plunged into his own tormented past, and equally despairing future, until he finds redemption in an act of grandiose violence. Toller: [voice over] I have decided to keep a journal. Not in a word program or digital file but in longhand, writing every word out so that every inflection of penmanship, every word chosen, scratched out, revised, is recorded. To set down all my thoughts and the simple events of my day factually and without hiding anything. When writing about oneself, one should show no mercy. I will keep this diary for one year, twelve months and at the end of that time, it will be destroyed. Shredded, then burnt. The experiment will be over. Jeffers: So how are you? Jeffers: No, really. It’s been a while since we’ve talked, but even a pastor needs someone. Toller: My father taught at VMI. I encouraged my son to enlist. It was the family tradition. Like his father, my father before me. A patriotic tradition. My wife was very opposed. My son enlisted anyway. And six months later, he was dead in Iraq. Right? I talked my son into a war that had no moral justification. My wife could no longer live with me. I left the military. I was lost. And Reverend Jeffers from Abundant Life, he gave me this position at First Reformed and here I am. And Michael, I can promise you that whatever despair you feel about bringing a child into this world cannot equal the despair of taking a child from it. Michael: Hey, what was his name? Your son? Toller: Joseph. The boy thrown down the well. Michael: Yeah, I remember. The dreamer. Michael: Can God forgive us for what we’ve done to this world? Toller: I don’t know. Who can know the mind of God? But we can choose a righteous life. Belief. Forgiveness. Grace covers us all. I believe that. Toller: Courage is the solution to despair. Reason provides no answers. I can’t know what the future will bring. We have to choose despite uncertainty. Wisdom is holding two contradictory truths in our mind, simultaneously, hope and despair. A life without despair is a life without hope. Holding these two ideas in our head is life itself. Esther: [to Toller] Did you see the doctor? You need someone to take care of you. I want you to be happy. Toller: [voice over] Some are called for their gregariousness. Some are called for their suffering. Others are called for their loneliness. They are called by God because through the vessel of communication, they can reach out and hold beating hearts in their hands. They are called because of their all-consuming knowledge of the emptiness of all things that can only be filled by the presence of our Savior. Toller: [voice over] I know that nothing can change and I know there is no hope. Mary: You must come over. You must come over now. Michael: Opportunistic diseases, anarchy, martial law, you will live to see this. Toller: [voice over] The desire to pray itself is a type of prayer. How often we ask for genuine experience when all we really want is emotion. My hands shake as I write these lines. Toller: [voice over] How easily they talk about prayer, those who have never really prayed. Toller: So you had no idea what he was thinking? Mary: No. I’m so frightened. Jeffers: These kids, they want certainty. You know, they don’t think, follow. They fall prey to extremism. It’s a world without hope. Toller: [voice over] No, I have not lost my faith. Esther: You think what we did together was a sin? Toller: I’ve seen enough sin to know the real difference. Mary: You didn’t tell the police, right? Balq: [to Toller] Well, I think you need to step back, Reverend, and take a look at your own life before you criticize others. Jeffers: These are frightening times. They have to be patient. Toller: Well somebody has to do something! Toller: I know what you want! Alright, and I cannot bear your concern, your constant hovering, your neediness. You’re a constant reminder of my own personal inadequacies and failings. You want something that never was and never will be. 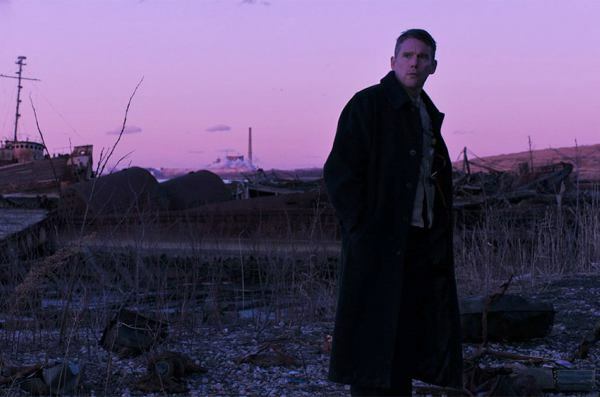 What do think of First Reformed quotes? Let us know what you think in the comments below as we’d love to know.